At the last CharityComms Brand Breakfast, Bringing your brand to life through content, Danielle Wootton, head of marketing at Scope, shared how the charity employed content to activate its new #DisabilityGamechanger brand positioning. Danielle started by sharing Scope’s chequered brand history and the need for change. While the charity had high awareness, there was poor understanding of what it stood for. Often only associated with cerebral palsy, people struggle to place the charity in a modern-day world. There’s also a misunderstanding of what ‘disability’ is and how prevalent it is in society, and a large perception gap between disabled and non-disabled people regarding issues faced. Currently, people simply don’t know enough about what the charity does to consider supporting it. Next, Danielle went on to share Scope’s new brand strategy platform which aligns with the charity’s Everyday Equality corporate strategy, co-created with The Team brand and communications agency. The charity’s new vision is to create a society where all disabled people can enjoy equality and fairness, by using collective power to change attitudes and campaigning relentlessly to end injustice. The brand personality is that of a Disability Gamechanger: inspired by challenger brand theory; driven by the injustice and inequality facing disabled people every day; a person who dramatically changes the inequality facing 14 million disabled people in the UK. This is underpinned by five values, which run through the charity’s culture and communications (open, fair, courageous, connected, pioneering) and a core brand proposition of “let’s end disability inequality”, which provides a clear call to action. Scope brought its new brand strategy to life by creating a new visual identity and tone of voice in a collaborative design sprint, and took the time to embed the new brand internally with workshops on living the values. 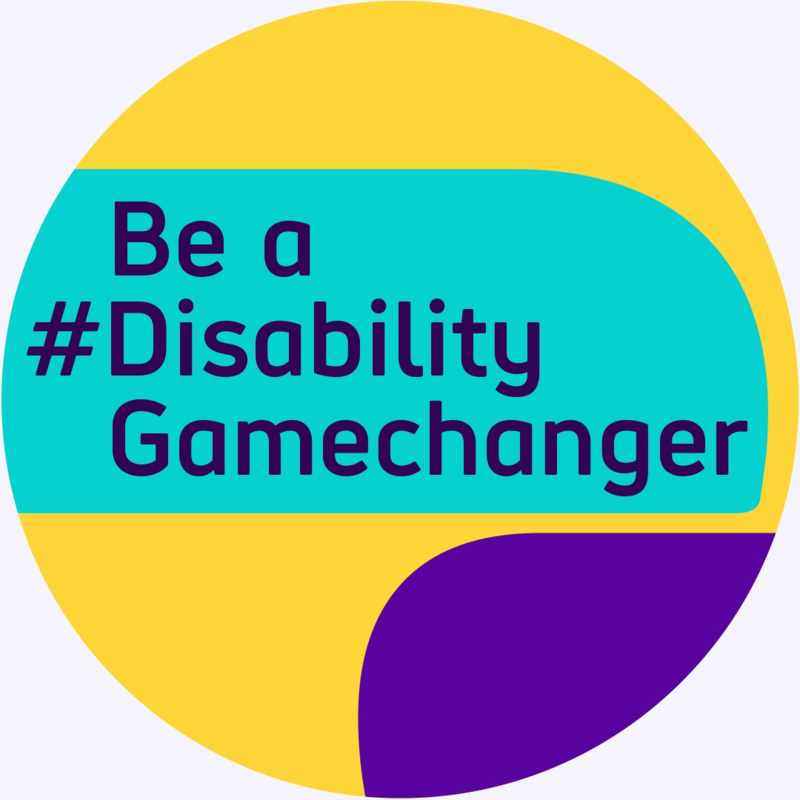 After laying the ground work, the organisation started to plan its #DisabilityGamechanger campaign to establish the brand as a force for change and demonstrate the need for people to come together to achieve equality. At the heart of the campaign planning was the need to give different forms of content a clear purpose. Here’s some of types used during the campaign. Hero content to build awareness of the cause and brand with new target audience segments and land key brand messages, such as the fact that 1 in 5 people in the UK are living with a disability. The tone was bold and impactful to achieve cut-through. This included a lead hero brand film produced by Raw London. The Suffragettes. The Black Civil Rights Movement. Harvey Milk. Rosa Parks. Ghandi. Fighting for political, gender and race equality, LGBTQ+ and children’s rights: for basic human rights. These are the changes Scope want to see in the treatment of and opportunities for disabled people in the UK. This fast-paced film brings together different narratives of fights that have been won and those that rage on across eras and continents. Using archive footage, motion graphics and a rousing voice-over from Sophie Morgan, the film builds a powerful momentum ending on a call to arms to join the movement. Campaign content showcases the evidence of Scope’s political influencing and social change agenda. The tone is informative and educational. This includes a policy report and social media posts of the key facts and stats. Storyteller content presents the breadth of disabled people and their experiences but also the commonality of the issues they face and the need for action. This included a second film which brought to life what living with a disability is really like, as well as Twitter takeovers from Scope’s storyteller community. The tone is authentic and emotive. Community-led content demonstrates the variety of ways disability equality can be achieved through community, including disability-friendly initiates from M&S, Grazia, Virgin Media and Southampton Football Club. The tone is inclusive and empowering. By having a clear content plan in place, the campaign over-performed on all campaign KPIs. Engagement is up by 175% on Facebook and 120% on Twitter compared to the previous date range. Twitter engagements are up 100% during the takeovers, and 5,500 people (and counting) have signed up to be a Disability Gamechanger. The brand knowledge score is also up from 48% to 52%, which is notoriously hard to shift without big media budgets. Danielle’s top tip: “If you have a strong enough brand positioning, you start to see that come through everything you do.” So, spend your time on the strategy, laying the foundations and clarifying the thinking before diving in.